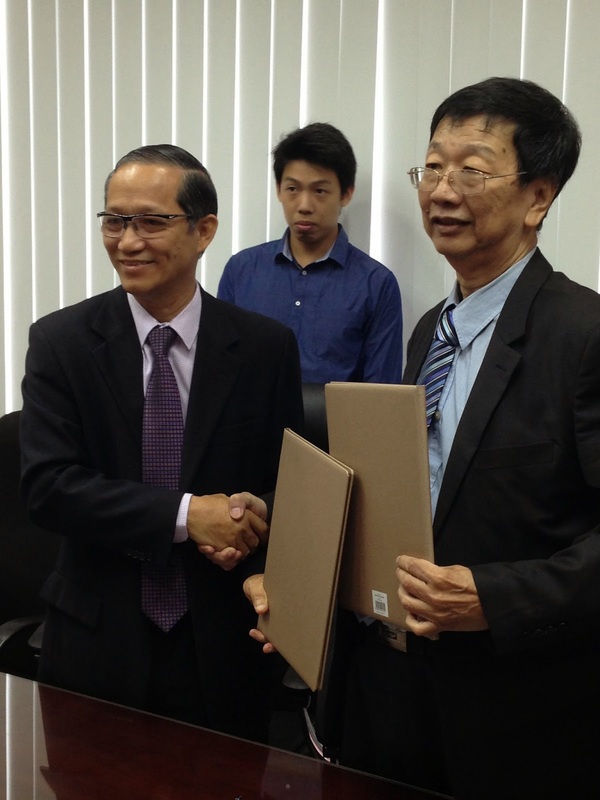 MoU for Strategic Alliance has been signed between Concepts Computer, one of the Country’s biggest computer distributors/retailers in Brunei Darussalam and MARS Enterprise, a software house known as Made in Brunei, Developed Internationally. The New Alliance is trying to explore a new dimension for IT development under special advantages and conditions of Negara Brunei Darussalam. Concepts Computer is authorized distributors for Acer, Epson and many other international brands of IT related products in Brunei. 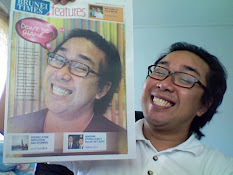 Is well-known and famous in its management, creative, innovative and effective way of promoting their products, solution and services, whereas MARS Enterprise, the first Brunei software house who won the Champion title in Logistic and Supplies Chain Category during APICTA(Asia Pacific ICT Award) competition held in Melbourne, Australia 2009, and is one of the local software house having records of exporting "MADE IN BRUNEI" to Taiwan, Singapore, Malaysia, Indonesia and Laos. Computer hardware including Server, Desktop, Note Book, Printer, other peripherals and after sales services. Software including OS (such as Windows), Office Application Package(such as MS Office) and other general and niche application software including Education Software and one-stop Business Solution: ERP(Enterprise Resource Planning). Of course, in this exercise we also can't ignore out the common knowledge of development of hardware, internet, and mobile globally. Most of the IT vendors in Brunei only focus on selling hardware, and software (business application package) normally rely 100% on imports. 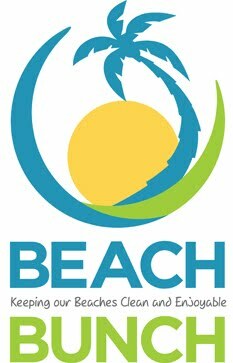 As a matter of fact, Brunei should overwhelm its neighbors in developing its own software solution due to the natural advantages of the country and "gift" from the cyber era which breaks the barrier of boundary and time gaps and enable anyone to unify the whole world within seconds. MARS Enterprise spent years in Supplying Software solution locally & globally - to private and government sectors, SME and international corporations including KPN/Wilmar Group, now the world's largest Palm Oil Producer and Exporter. Furthermore, as a pure Bruneian local software house with 100% local software developers, MARS Enterprise is able to win champion in international software competitions. 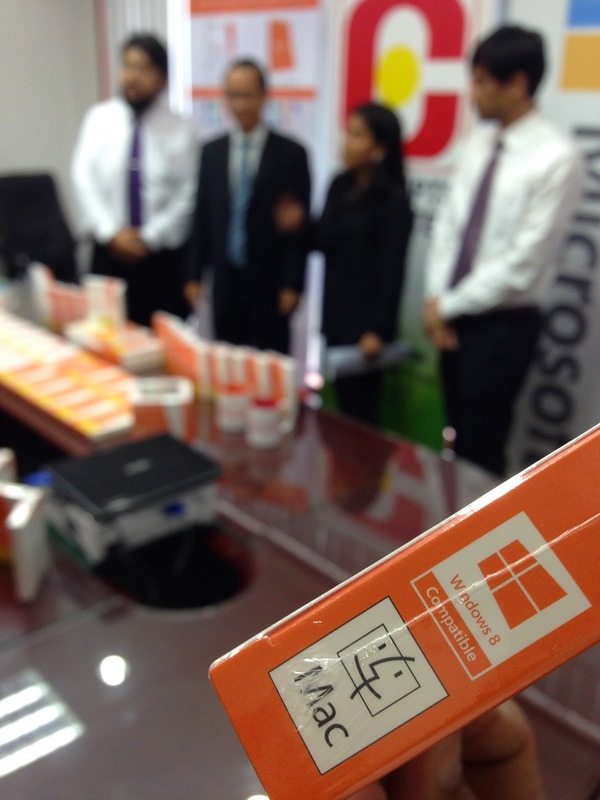 It proved that Brunei has the talent to provide and export software solution rather than import only. The SET project of AITI further strengthens this vision. “While materializing the vision of "Brunei Software Export", it is a natural thought to seek a strong & reputable strategic partner locally, and Concepts Computer is the first choice because of its innovative marketing and service concept.” Mr Foo said during the interview. “What actually is behind the MoU of Strategic Partner between Concepts Computer and MARS Enterprise? This New Alliance means the merging of two mainstreams of hardware and software in IT Industry, it won't be 1+1=2, it is 1+1=Infinity.” He said. In providing Business solution package, the New Alliance will join hand and provide much more practical and professional system analysis, enable the user to choose the most suitable and price-effective solution in both Hardware and software together with much more efficient after sales services. Moreover, the New Alliance can bridge the international connections for local business body through internet. Of course during the R&D, the New Alliance can't rule out development in e-commerce, cloud and mobile Apps. As a contribution to National IT development, the New Alliance will provide latest message for latest development and direction of worldwide IT Industry, both hardware and software, to make known to the public the functionality, availability, practicality of latest IT solution and channel to achieve, at the same time connecting the world. This will not only extend a new dimension of Brunei IT Development, but also create a lot of win-win and win-win-win after sharing human resource, business strategies, business channel and business connection between the New Alliance. Furthermore, it will help in getting regional agencies for world famous products and at the same time proceed to provide Made in Brunei solution to Brunei e-Government. In short, the New Alliance will bring a tremendous force to push forwards and catalyze R&D, professionalism, practicality and overall IT reform in Brunei, it is expected to be beneficial to both private and government Sectors. NEW ACER ICONIA TAB 8 W – WORK AND PLAY ON THE GO ! Portability and Affordability, the keywords for the new IT era, is key in being able to adapt to many changing and demanding needs of Bruneian IT consumers. Acer has made a huge leap in providing one of the affordable and portable tablet in the ACER Iconia Tab 8W. Sporting the latest battery-life conserving hardwares, the Acer Iconia Tab 8W will bring together the right specifications for work and play on the go. And with it running on the Windows 8.1 operating system, the transition for users looking to move to tablets for their daily work needs will be smooth and not troublesome. It is also significant to note that the Acer Iconia Tab 8W will include a one year subscription for Microsoft's new Office 365, making it easier and much more convenient to do work on-the-go. An Intel Atom Quad Core Processor gives you multitasking with better performance for running games, playing videos or web browsing. 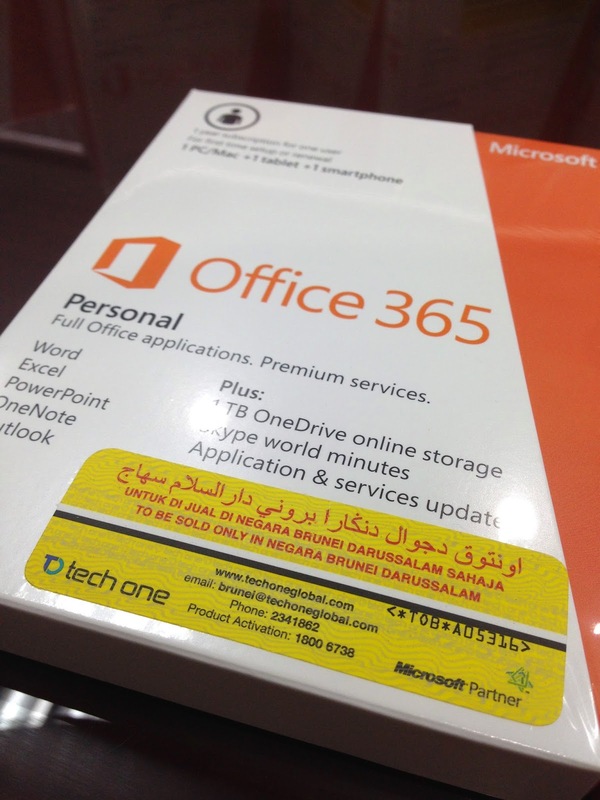 You also get Windows 8.1, and a one year subscription to Office 3651 Personal. Add in approximately 7 hours of battery per charge and you’re ready to go. With an 8-inch 1280 x 800 HD display that uses IPS technology to produce vivid colors from any angle, you can enjoy and share photos and videos alone or with friends. Add to that the immersive sound experience produced by dual stereo speakers, and your gaming, videos and music become truly entertaining. The Iconia Tab 8 W has an attractive and simple design that’s both slim and lightweight. The narrow bezel allows a larger display that you can still hold comfortably in one hand. What’s more, the stylish and functional tactile pattern on the back also makes it easier to hold. Whether you’re an indoors person, an outdoors person, or a bit of both, the Aspire Tab 8W is designed to be used everywhere you go. Its display technology provides optimized color control that lets you watch videos and share photos even under the sun. 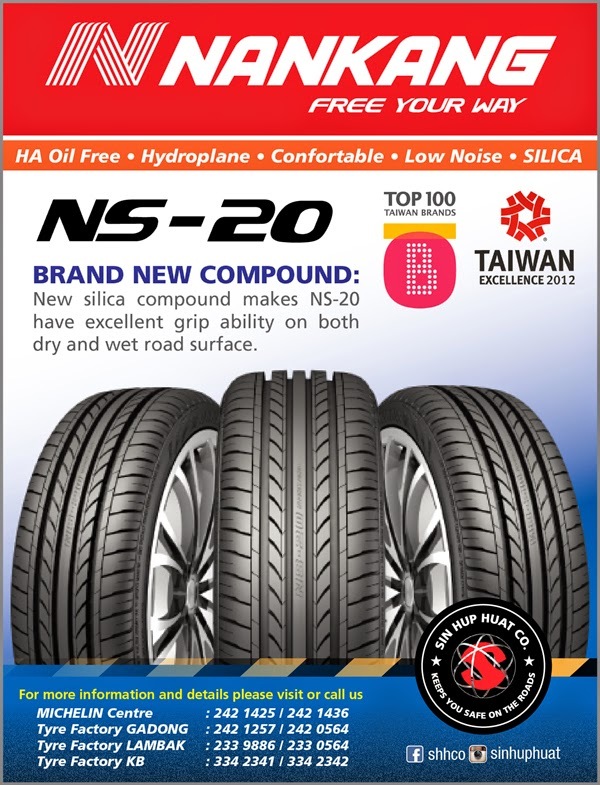 And in conjunction with the Chinese New Year, Concepts Computer will be doing a Chinese New Year Special Bundle promotion for members and for “Purchase with Purchase” customers. IT hampers worth $18 and all the way to $1,888 will be available for purchase from now until the end of Chinese New Year. The ACER Iconia Tab 8W is available at Concepts Computer for $218. 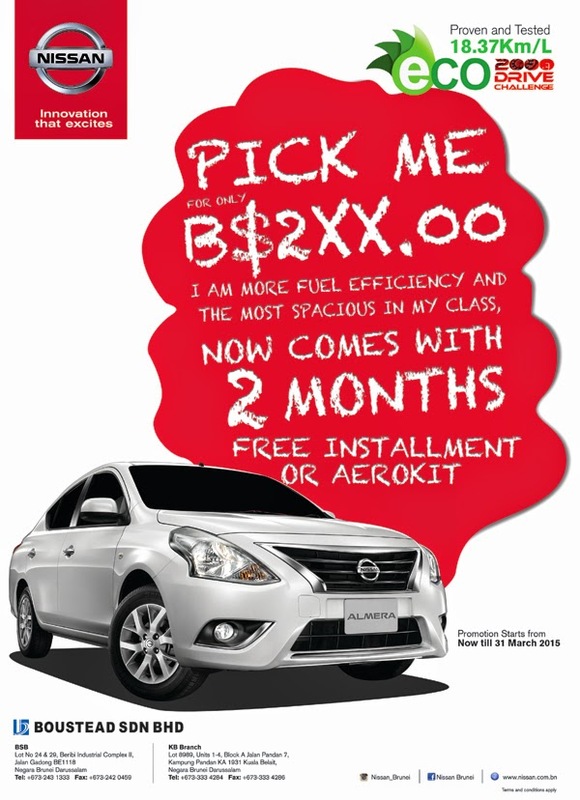 For more information call 2233551, 2233552 or 2233553, or visiti your nearest Concepts Computer showroom. 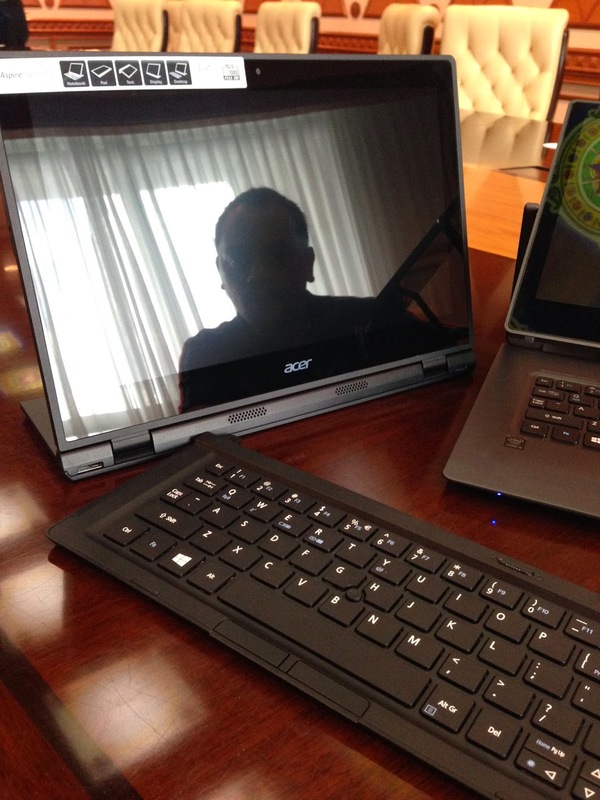 Acer Malaysia today introduces two new notebook the award winning Acer Aspire R13 and the Acer Aspire Switch 12. Both with their own unique features that are set to capture the attention of the modern day explorers. Yes from far I look at it is like the R13 know how to do yoga there! pretty awesome right! 13.3- inch display with IPS Technology, Full HD 1920x1080, high brightness LED backlit TFT LCD, supporting 10 finger touch. Window® 8.1 64-bit, Intel ® Core i5, 8GB DDR3L RAM, 128gb solid state drive with RAID-0, Intel HD Graphics 4400, weigh 1.5KG. Check out the video here below! 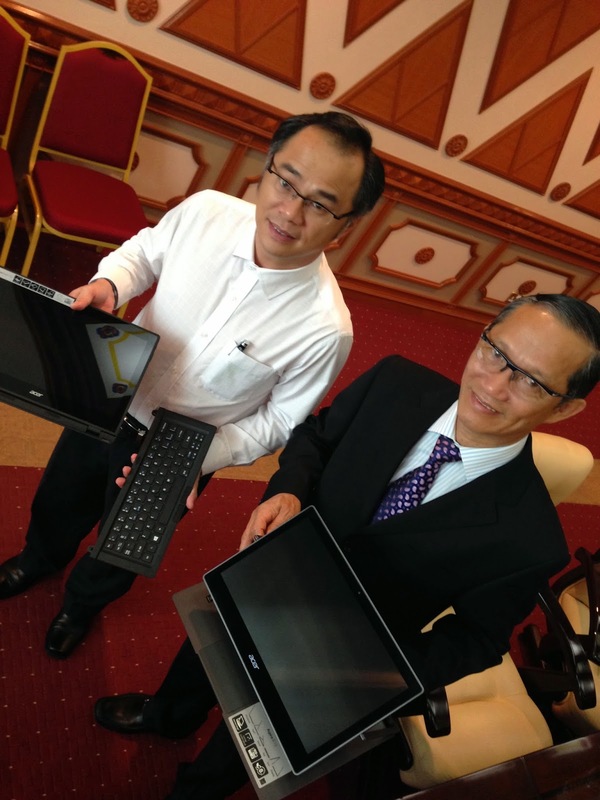 Richard Soo from Acer Malaysia show the Acer Aspire R13 to the local dealer. 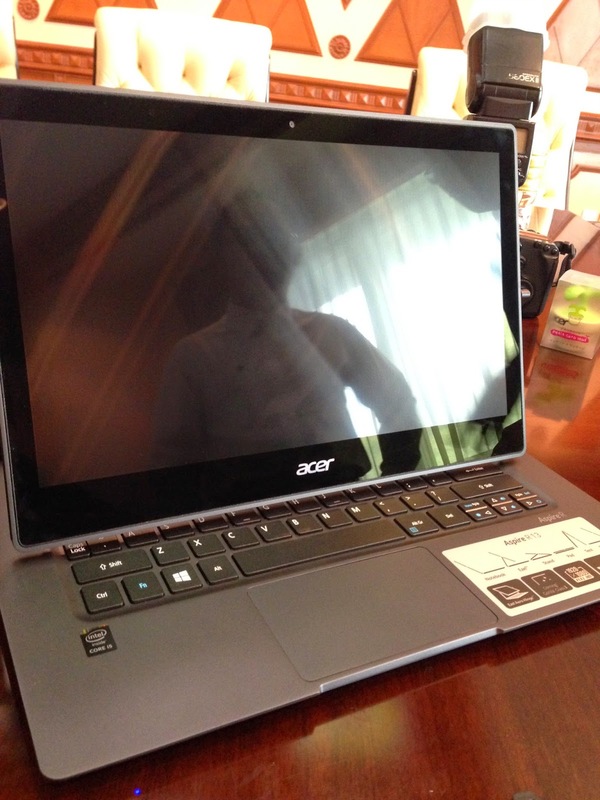 This is the Acer Switch 12, is a versatile 2 in 1 notebook with a unique design that allows smooth transition between 5 modes of usage which is notebook, pad, display, tent and deskop. The 12.5 inch full HD (1920x1080) display comes with IPS technology and Zero Air Gap allows user clear view and vivid colors from a wide angle. 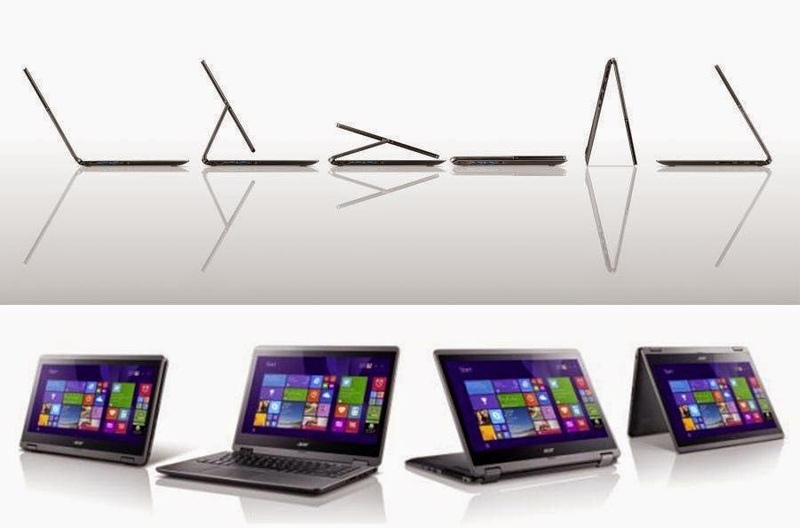 Intel Processor Core M-5y10c, 4GB DDR3L ram, 128gb SSD, Intel GD graphics 5300, weight 1.4kg! High power, understated, with ample features and a high degree of everyday practicality – all of these strengths come together in the Audi S3 Sedan with quattro® permanent all-wheel drive. The Audi S3 Sedan offers superior performance and groundbreaking efficiency. Its 2.0 TFSI engine produces 210 kW (285 hp) and 380 Nm (280.3 lb-ft) of torque. The high-performance four-cylinder unit combines cutting-edge technologies – dual injection into the combustion chambers and into the induction manifold, integration of the exhaust manifold in the cylinder head, the Audi valvelift system and the rotary valve module for the thermal management system. 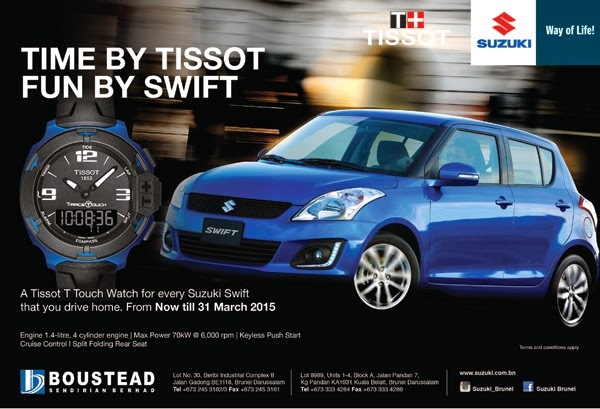 In interaction with the six-speed dual clutch S tronic, the sprint from 0 to 100 km/h (62.1 mph) takes just 4.9 seconds. The sonorous-sounding four-cylinder turbocharged engine in the Audi S3 Sedan gives it a combined fuel consumption of just 6.9 litres of fuel per 100 kilometres (34.1 USmpg) and CO2 emissions of 159 grams per kilometre (255.9 g/mi). A newly developed multi-plate clutch in the quattro drive train manages the flow of power to the front and rear wheels. 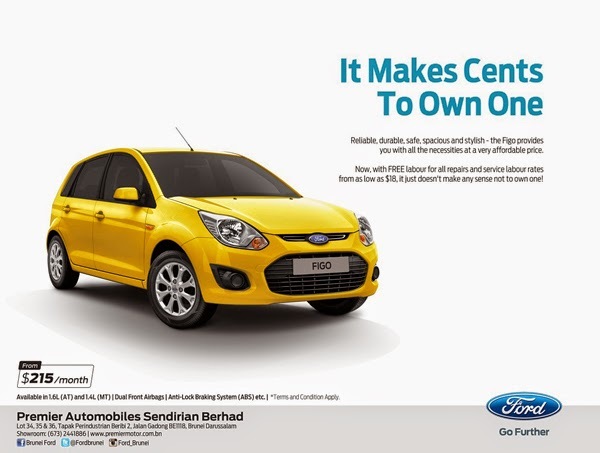 A key factor in the dynamic performance of the premium compact model is its lightweight construction. The Audi S3 Sedan has an unladen weight of just 1,430 kilograms (3,152.6 lb) – by far a best figure in its class. The S sport suspension lowers the vehicle body by 25 millimetres (1.0 in). Large brakes are mounted behind the 18-inch wheels. Electronic Stabilization Control (ESC) intervenes with fine sensitivity. 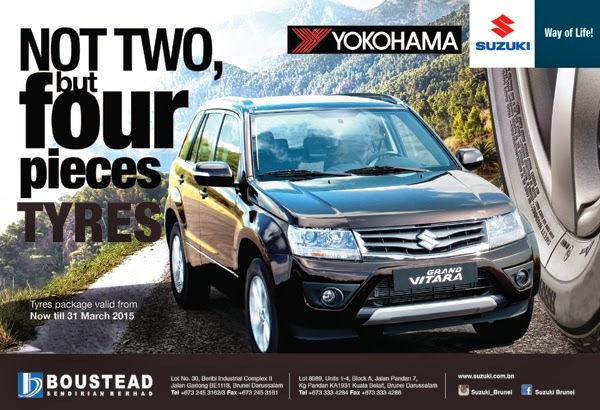 The new progressive steering with power assist varies the steering ratio. It is somewhat more indirect around the center position and very direct when steering sharply. 5-mode Audi Drive Select is standard, with Audi magnetic ride available as an option. The Audi S3 Sedan boasts a wealth of S-specific design details, which will once again exceed the pronounced sportiness of the Audi A3 Sedan. These include the rear spoiler on the luggage compartment lid, the rear diffuser, the dual-branch exhaust system with oval twin tailpipes, exterior mirrors in aluminium look and the progressive steering which accentuates dynamism and sportiness. High-grade materials and first-class workmanship in the interior are testimony to the superb quality of an Audi S model. Optional S sport seats also convey an exceedingly sporty aura. Other highlights include engine Start/Stop system, Audi Side Assist and B&O sound system. A lot of people here are concert about the recently flooded which on the way to Limbang road there! Because of that many people cannot go back limbang, Temburong and Sabah. 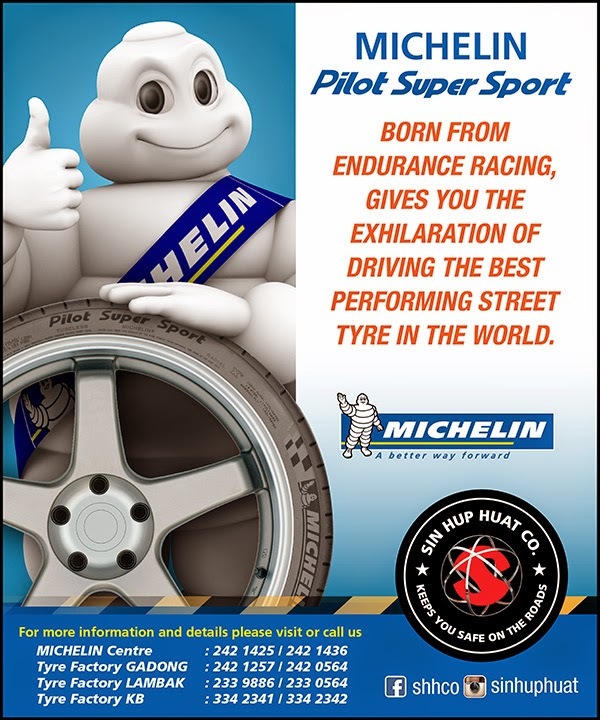 Same thing from there also can come to Brunei! 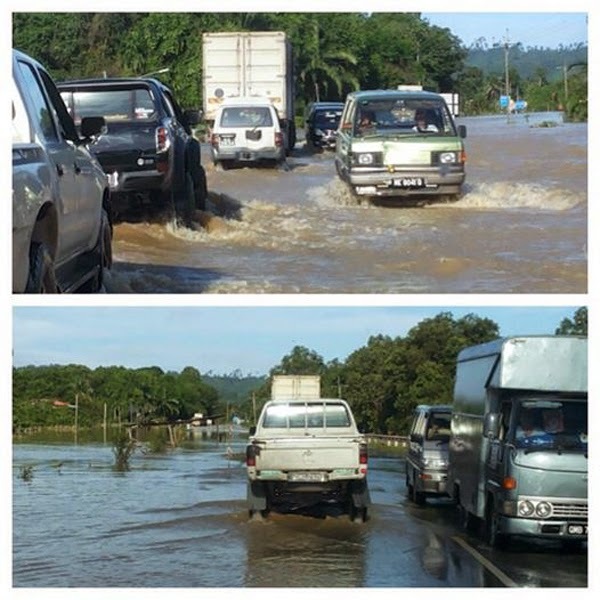 Some of the Bruneian just leave their car at Temburong and use boat come back Bandar! But for some unlucky people their car are drowned at the road side!!! Yesterday the water started reverse back condition are getting better now. 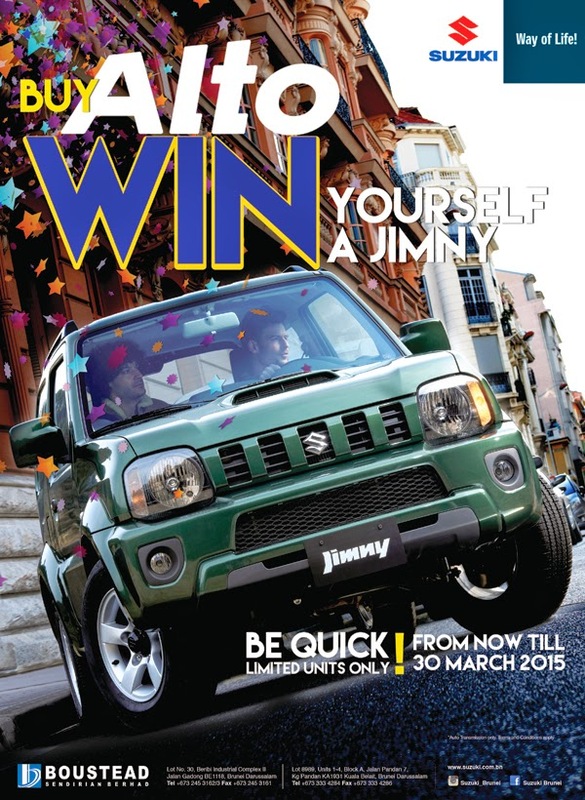 So today some people are try to passing through, but most of the car are those 4wd. 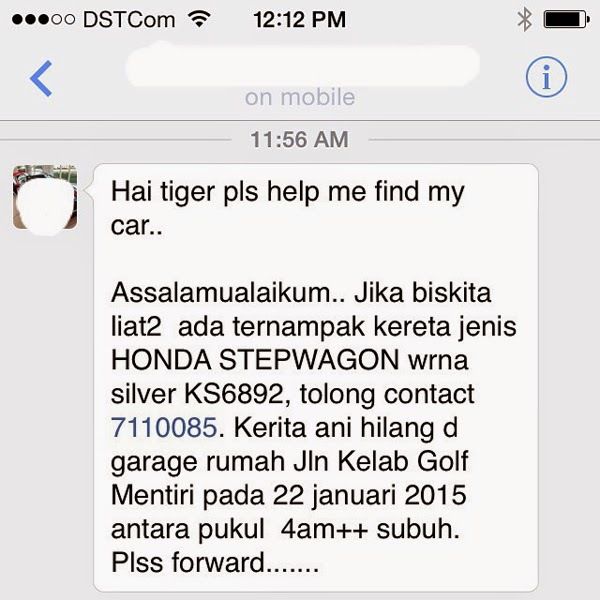 If want to use the saloon car also can but better be careful. I think better wait for few more days lah better don't take the rise... later jam alamak sakit kepala lah! Today the H.E.A.R.T team and the volunteers they sending some emergency goods and foods for the flooded victims. There are about 409 people their home kana flooded... eh quite jialat oh don't play play!! At the moment they temperately stay at the Pusat Pemindahan Banjir Dewan Kg. Bidang. Now hopefully the water can go down faster lah... if continue like that there are few more problem are going to facing. Most jialat one is worry the denggi nyamok!!! So let hope they can go back some as soon as posible!! One of the Brunei car pulling out from the water!! 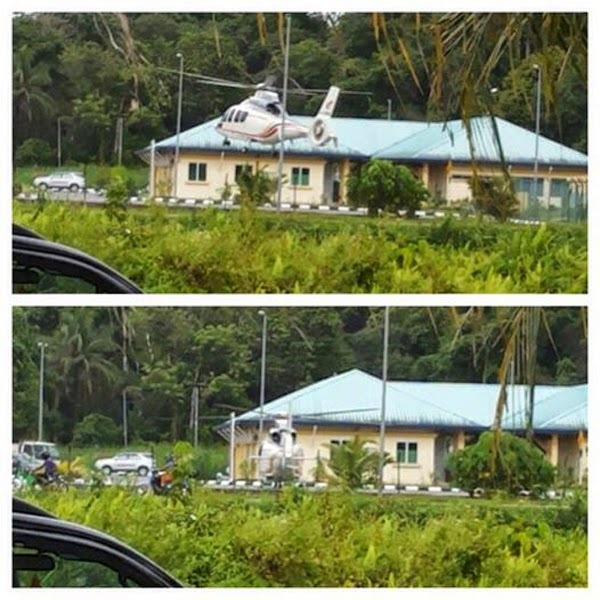 Helicopter landed at the Kuala Lurah border! Now with the new building for Mama and the baby no more like last time you can suka suka hati whole family masuk visiting anymore!! It has a new strict rules now for the visitors, Only 2 person in one time enter the room and kids below 12 are not allow to enter go see the baby!! I know for some people may not like the new rules lah but no choice lah have to accept it lah. Btw hospital is not a play ground why want to bring the kids go there right! If the children want want to see their mother and new sister/brother sorry have to wait until them balik kampong then can see! I also just know about this new rules one... If my wife's cousin she not giving birth I also don't know about it... maybe have to wait me got 3 kids then I baru know!! Is good also like that restricted some number of visitor and kid visit the place can give the mother and kids for a good rest! not like last time I remember my first baby born the next bed her whole family more than 20 people visit wah the wad become very crowed lah look like in fish market there! Now I think this kind of scene will no more appear again in this new building anymore! So you guys remember oh... if you have some friends or relative got new born baby here don't bring you kids who below 12 oh.. or else they have to wait outside already! I heard a lot of times from my friends and different people they told me this place if you want to eat their roti you have to wait.... Not wait for the foods oh!!! Is wait for a seat.... coz many people go there and eat their Roti and the queue some time have to wait for 45 minutes!! I don't believe and is very hard to make me believe too... There is no way a restaurant in town and make people die die must eat and willing to wait for a seat for 45 minutes!!! So far I know see people wait for seat to eat is Excapade and Kaisen only!!! Where got people eat roti also wait for seat one! 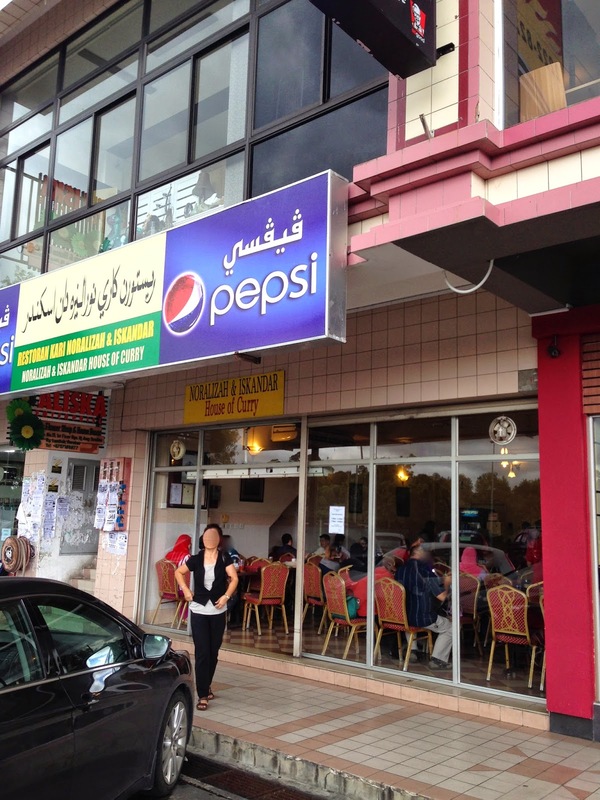 I don't believe lah... so yesterday I went to this restaurant at Lambak just next to the KFC and I saw people really wait and queue at outside for seats!!!! 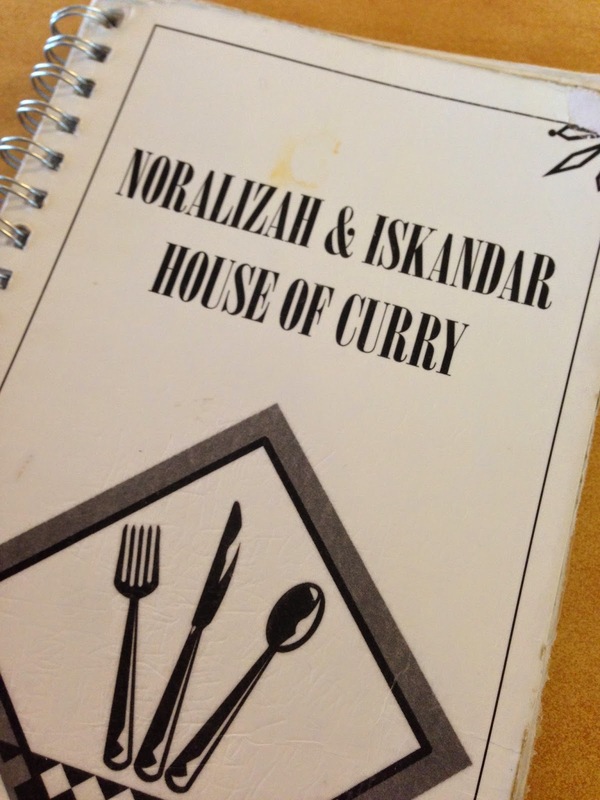 This Noralizah & Iskandar House of Curry make my eyes and mouth open and lagging for 3 seconds. I tot I see it again people queue at Mcd for the Minions toys!! In my head I have a big words of saying "NO WAY........."
Is true... I cannot lie to myself anymore is real!!! So I no jadi to wait like them, I turn away and go back home!! But today me and couples of friends go there again and try their foods. But today we choose after 1pm go. Normally this is after lunch hour shouldn't be got that much people. But I was wrong again... although there is no more queue but it was a full house! Lucky one of my friend when there early and he managed to get a big table so I reach there not need to wait. but after I start eat my Roti I see the door start people got people wait the seat again. Wah.. this owner his business really good lah! From morning open until 10pm I wonder one day how many pieces of Roti they can sell... mmm must be a very good profit lah. 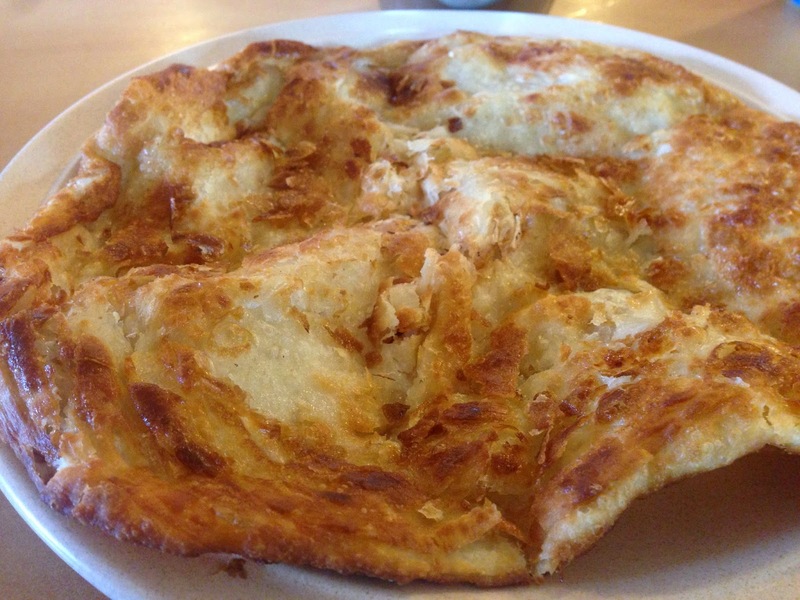 FYI the roti kosong is not cheap oh $1.70 per piece don't play play but still many people eat!! 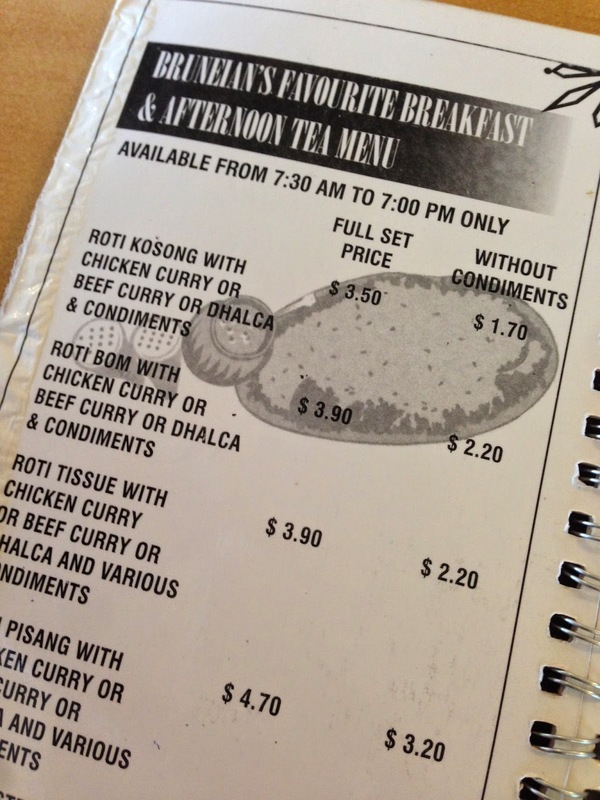 What is the magic that still people willing to pay such a prices for a Roti Kosong.... I don't understand after I eat I told myself I want to come again!! It was so delicious....... Honestly I voted their Roti Kosong is the Best Roti Kosong in town!!! 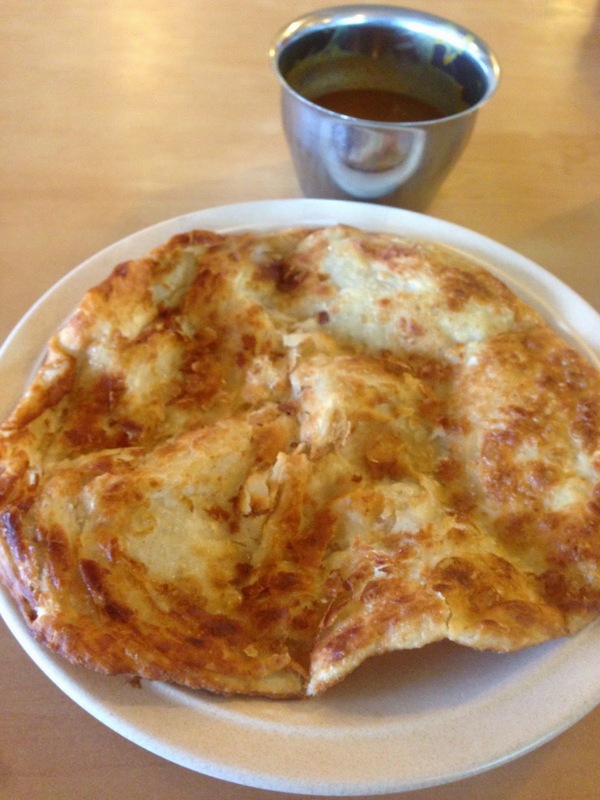 The Roti is the most crispy I ever had in town here.... the curry sauce is come with one piece of chicken. If you want some more and special one which is come with their condiments $3.50 the staff come serve you with 4 different yummy yummy dish you pick what you like and much you wish!! I picked the sardine fish, corned beef and acar!! Thumbs up lah Bruthers....really nice! I finish is all then I just realize I forget about my curry sauce and chicken is still there!!! 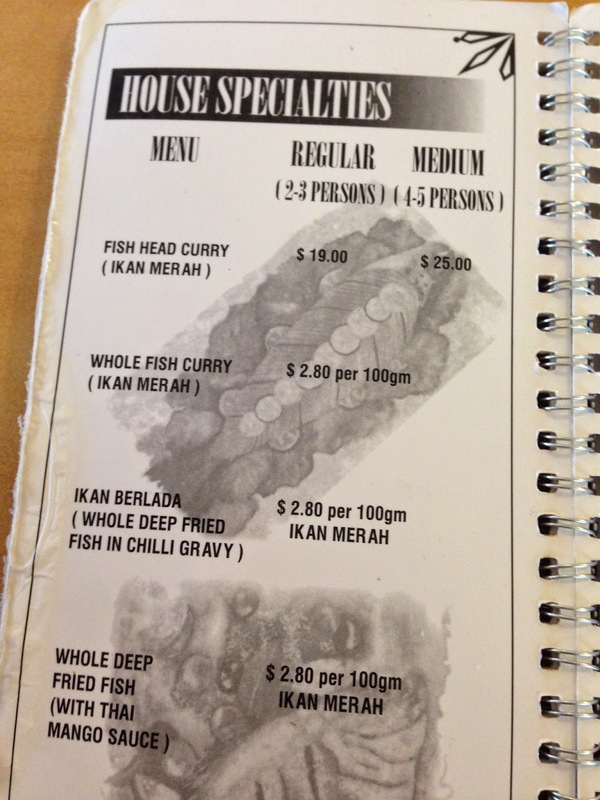 Then we also order their famous Curry Fish head $25.00 for 4-5 person eat. 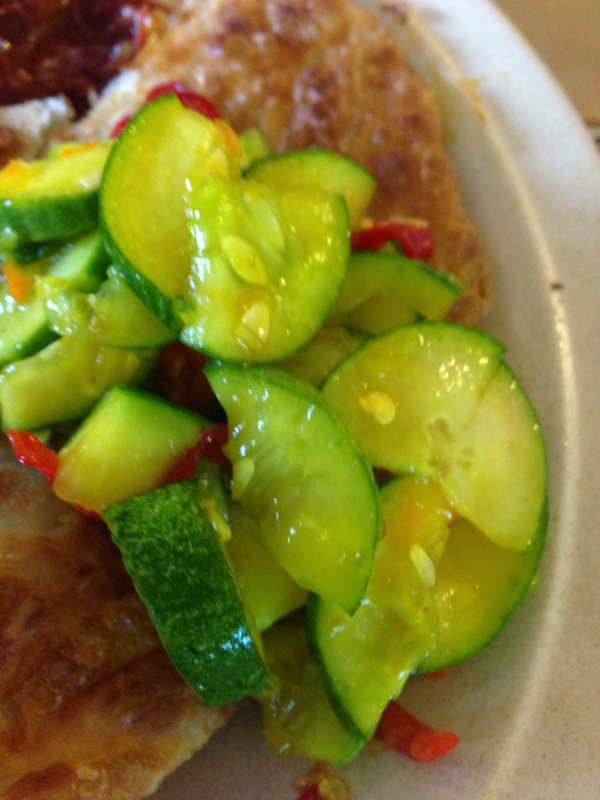 Good suitable for a small family to eat lah and kid also can eat coz not too spicy!! If for my family eat I think I have to tapao 2 potion baru enough!! hehehe sorry me and my family size a bigger than a normal side lah that is why I don't think is enough for me although is for 4-5 person eat! For me is 3 person eat saja! If you haven't try eat here I strongly recommended you try once... must once but not at Breakfast or Lunch hour lah coz the queue is too long lah. If you can wait Ok lah sorry me cannot!! Next I go I mush bring my wife... If not I think she will not taking with me for one week oh!! Is not hard to find this place... just next to the Lambak traffic lights! People always say this place is forever full house.. Is real! It say until 7pm only oh!!!! after that don't have sudah!! Honestly I think the prices is fair!!! The foods is worth to pay for that prices! The magic began from here once your first bite! 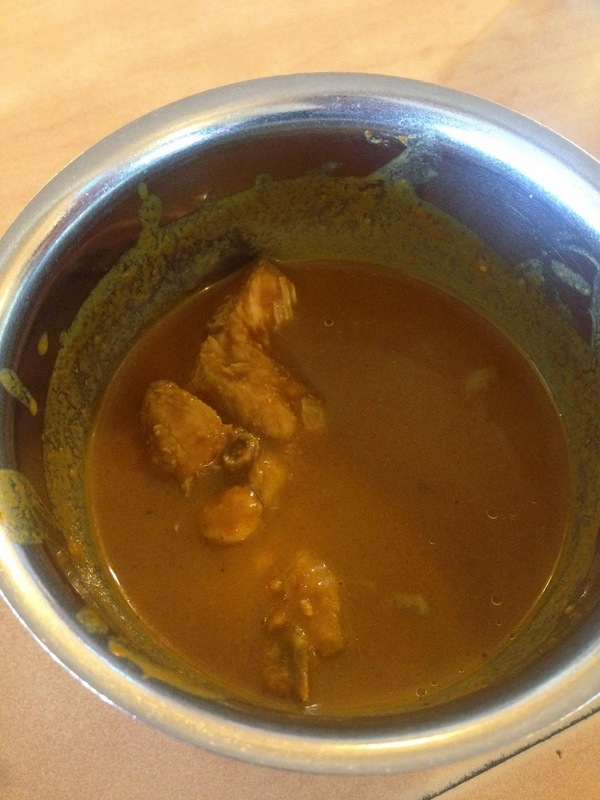 No tipu you... is come with one piece of chicken in the curry sauce!! Oh no!!!!! 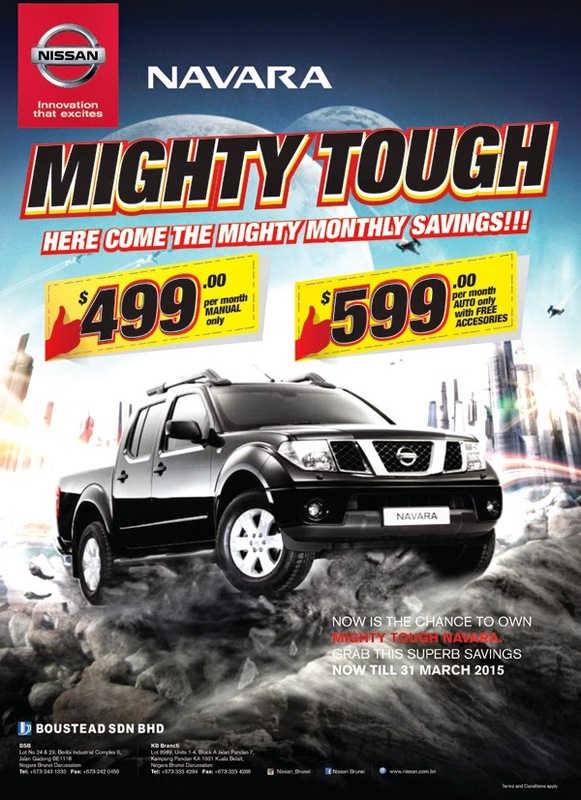 I didn't managed to take the Sardine and Corned Beef just only this Acar!!! I tot I did take the photo!!! 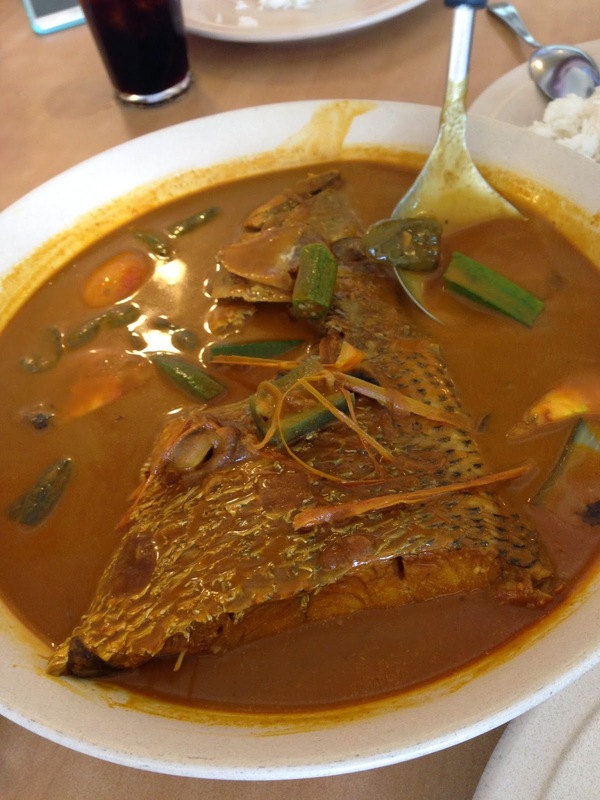 This is their signature dish Curry Fish Head!! Wow.... this is really cool long time no making video already last Thursday 15/01/15 afternoon at school pick up my daughters make a video did't expected in 4 days time got 4400 times of sharing 381,500 views and it reached to 1,293,000 people in the Facebook and 640 comments!!! I read all the comments people wrote and I notice that many people didn't get my joke... and they have to watch it 2 or 3 time then just realise the buaya is the Croc shoes!! Sorry for that if I making you all blur and lagging to catch my joke!!! I'm not sure this video can reach who many views but I don't think it can beat my classic video which is the Auntie parking!!! 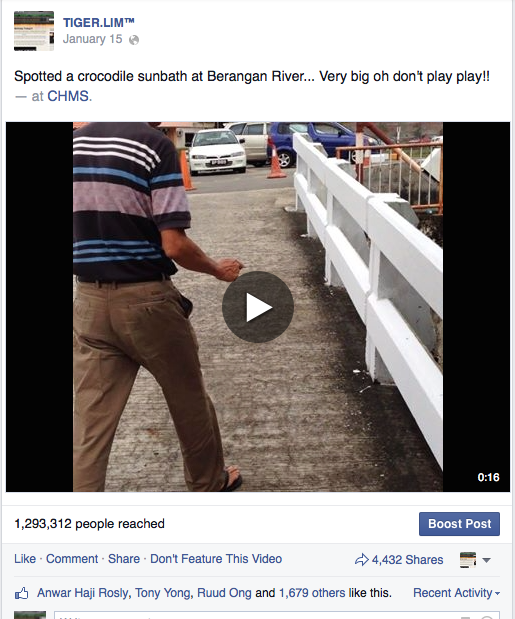 But hopefully can hit half a million lah!!! If you haven't watch the video... click on the image or maybe just watch another one time!! Enjoy and have a wonderful Monday! 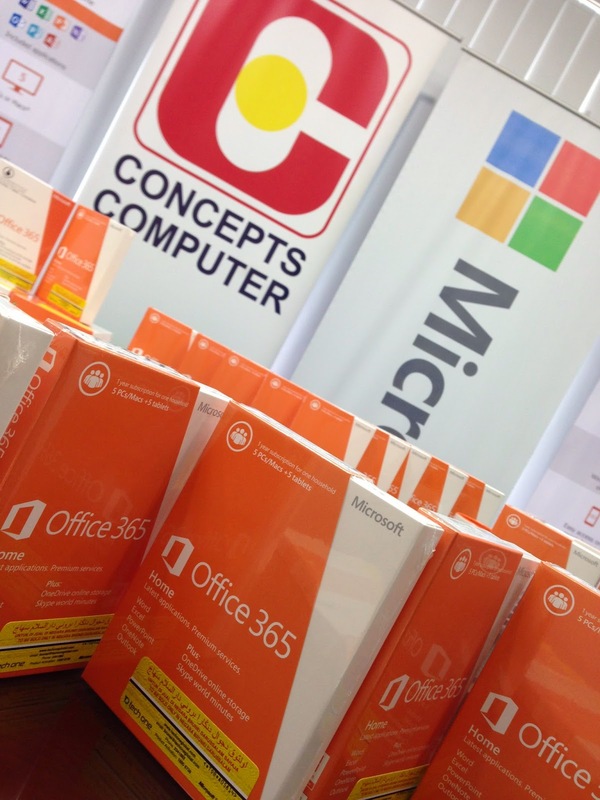 CONCEPTS Launches The LATEST In OFFICE SOFTWARES From MICROSOFT ! 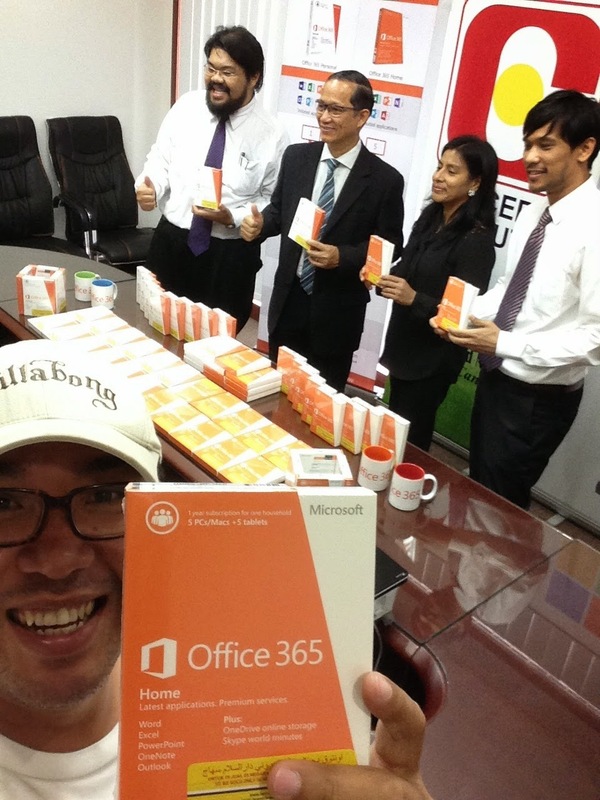 No IT work-environment is complete without Microsoft Office softwares, which is why Concepts Computer, one of the largest and oldest IT retailer in Brunei Darussalam, is proud to launch the Microsoft Office 365. 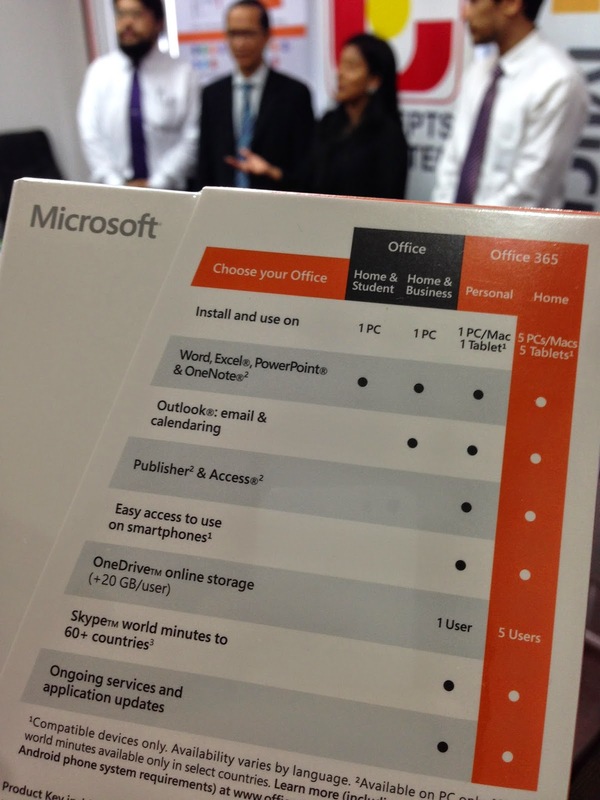 Microsoft Office 365 is your complete office in the cloud. At its heart is Office itself, the familiar Microsoft Office applications businesses use everyday, now offered as a powerful cloud service, so it’s always up to date. But Microsoft Office 365 is also so much more. It’s about bringing enterprise-grade services to organizations of all sizes, from online meetings to sharing documents to business-class email. Large, 50GB mailboxes that can send messages up to 25MB in size, with contacts, shared calendars, and spam and malware protection that stays up to date. Built with Exchange email technology, the leading email solution for business around the world. Use your own custom domain for your email address, connect with Outlook for fully featured offline support, and access via the web through any modern browser. 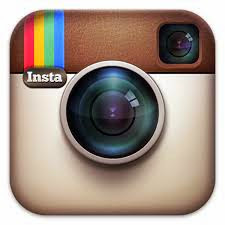 Available on your PC or Mac, as well as Windows Phone, iPhone, Android, and Blackberry devices. Everything is online or on the cloud; you can hold scheduled or ad hoc online meetings for up to 250 participants, with screen sharing, audio and video, virtual whiteboards, polls, and shared notes. Partners and customers can fully participate through any HTML5 browser. You will also have access to 1TB of space in the cloud to store, backup, and easily share files. Files are accessible from almost any device, and can be synchronized offline and made available without an internet connection. All the IT help you need, available at your finger-tips, through elephone support for setup and deployment issues, as well as online answers, how-to resources, and connections with the Office 365 customer community for additional help. You will also reduce headaches by reducing your physical IT infrastructure. Content lives safely in globally distributed datacenters with continuous backup and disaster recovery abilities. Zul Abdul Rahman, Marketing Executive of Concepts Computer added, ”The Microsoft Office 365 will be available from Concepts Computer in 2 iterations; the Microsoft Office 365 Personal at $88, for 1 PC; and the Microsoft Office 365 Home at $118, for 5 PCs.“ He continued, “And during these Chinese New Year festive period, every purchase of Microsoft Office 365 will come with an automatic Concepts membership that comes with a Concepts pendrive, and a Microsoft drinking mug.” All free goodies are available while stock last. Please visit your nearest Concepts Computer showroom or call 2233551/2233552/2233553 for more information regarding these Microsoft solutions.